PHOENIX – A Muslim woman in Phoenix says Ramadan promotes peace, contrary to the man who killed 49 people and injured 53 others at an Orlando gay nightclub. A Christian minister who was among hundreds who attended a vigil for the victims said interfaith conversations needed to continue. An owner of a LGBT clothing store said the tragedy shows more security measures should be taken to guard against those intolerant of gays. A gunman who pledged allegiance to ISIS, identified as 29-year-old Omar Mateen, was killed by police after a three-hour standoff. It was the worst terrorist attack since Sept. 11, 2001, and the worst mass shooting in American history. On Monday, Phoenix area residents shared moments of hope and support, frustration and help. 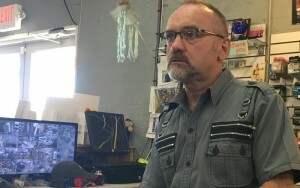 Patrick Kelly, who runs the LGBT clothing store Off Chute Too and has worked with the Phoenix Police Department to address LGBT issues, says he, like many others across the country, is afraid of a copycat attack. The Rev. James Pennington, of Phoenix First Congregational United Church of Christ, said the conversation among leaders and followers of diverse faiths needs to go beyond Sunday’s vigil. 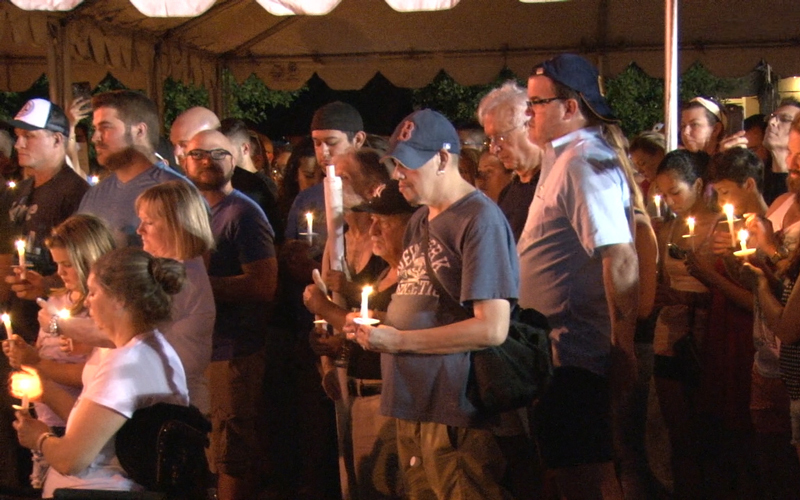 More than 750 people attended the vigil at Phoenix Pride LGBT Center, according to azcentral. Daniel Rothenberg, an Arizona State University professor who examines war and conflict, said lone wolf attacks are difficult to stop. Rebecca Sanderson donated blood to a United Blood Services blood bank in Chandler, driven by the urge to help those injured in the Orlando’s shooting. A spokeswoman said phone lines were flooded with calls from people who wanted to help. Dr. Sydney Vail, a Phoenix doctor who treated four victims of the Virginia Polytechnic Institute and State University, in which 32 people were killed, carries a trauma kit around his ankle, just in case. Dr. Vail, who heads the trauma division at Maricopa Medical Center, said he believes Arizona is prepared to handle a major event like the one in Orlando.